"Took a whole lotta tryin', just to get up that hill!" ...you know...The Jeffersons..."to a deluxe apartment in the sky". 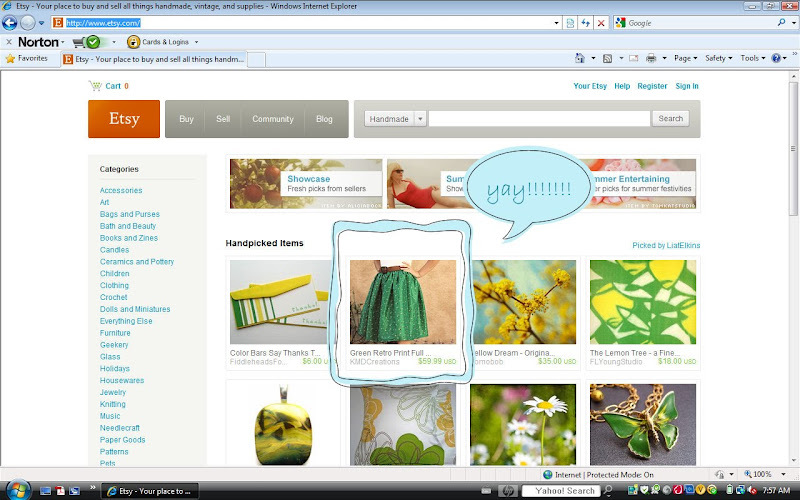 Well, we aren't MOVING moving - but one of our etsy products moved it's way up to a feature on the front page!!! 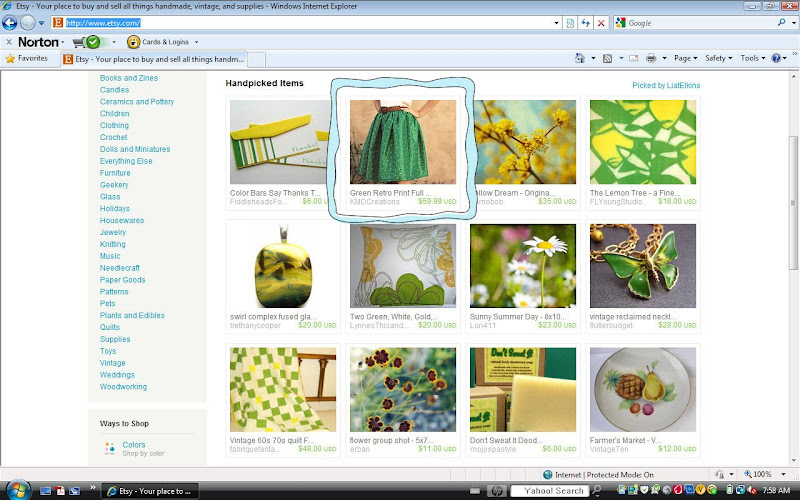 Our made to order custom Green Retro Print Skirt was featured on the front page of etsy in the early morning hours this past Saturday. We were mega thrilled! Of course dancing on the spot ensued. This little feature brought a lot of new people to our shop which was very exciting. We've just returned home from a trip to New York where we had the pleasure of shooting two weddings, two engagement shoots, and we had some time in between to do some pickin' for the etsy shop. We got our hands on some great stuff (I want to keep just about all of it!!). 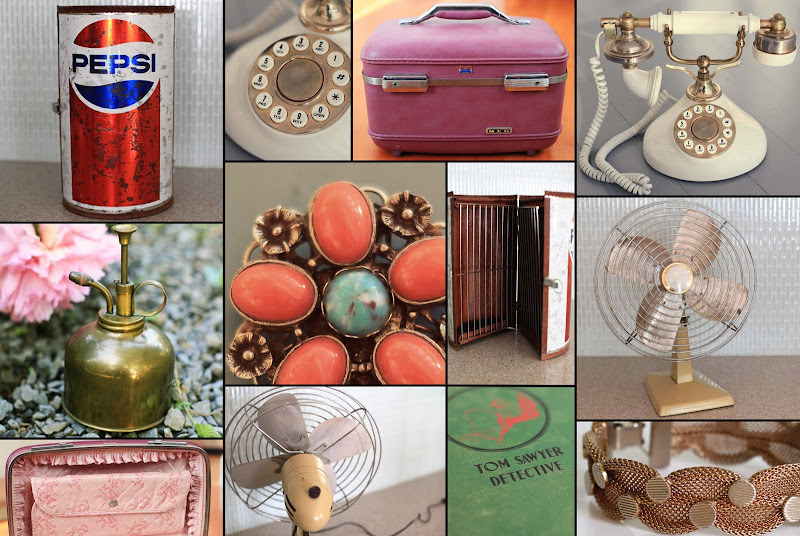 All of these new finds will be added to the shop very soon. Here's a peek at some of the great stuff we'll be adding. And here are some previews from the weddings and engagements shoots we did while in NY. Miriam & Matt had a beautiful lakeside wedding - She looked like a princess! We had the pleasure of meeting Yvonne & Eric for a little "pre-wedding" shoot on Keuka Lake a few days before their GORGEOUS rustic wedding on Canandaigua Lake. Yep, we just love those finger lakes!! And we also met with Lisa & David for an engagement shoot in a beautiful vast park filled with deer, horses, and and all sorts of creatures! We had a lot of fun with them and can't wait to shoot their wedding this September. Well that's all the latest over here, pheww!